The current version of top level of football in Russia has been running since 2001, with FC Spartak Moscow wining the first ever league title. Incidentally FC Spartak Moscow is the most successful team, having won 10 league titles. No team from Russia have ever won the European Champions League. I had to buy a Hulk shirt eventually. The amount of times that Chelsea have been linked to him is numerous and I thought, he's probably never going to arrive, let's just buy a Zenit shirt with him on the back and that'll be it. The shirt itself is really nice, however the quality of the printing is poor as it's all come off in the wash. 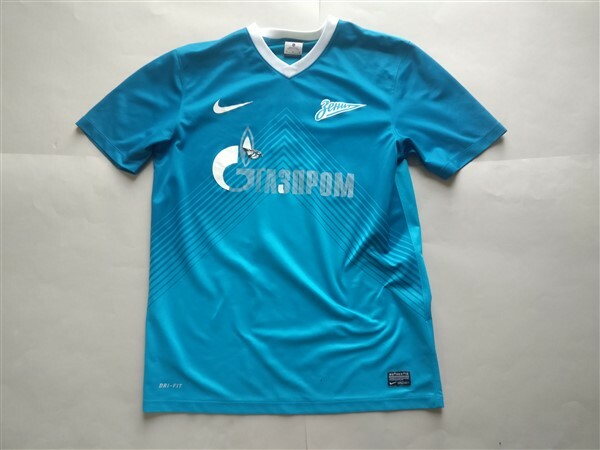 If you are looking to buy a Russian club football shirt from an official club store then click the link below and it will take you to a list of clubs to choose from.